Covers the identification of gem-stones and the testing methods to assess quality, and detect fakes, and fully discusses period styles and materials over the last 200 years. Illustrations show what to look for and what to avoid as well as helping to identify, date and value piecs. This text includes revised prices, over 90 new colour illustrations and an additional chapter on jewellery of the 1960s and 1970s. 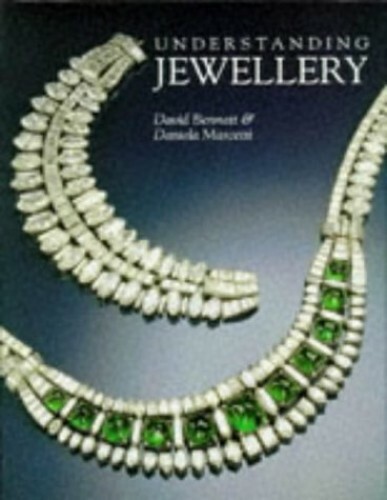 It brings together in one volume identification, dating and valuation of jewellery. There are many colour illustrations which facilitate identification and understanding. The text is written in straightforward, non-technical English. This explains why values vary and the individual points important for each category. A major section is devoted to the identification of the major gem-stones and the testing methods to assess quality and detect fakes. Explanations are given in a straightforward, uncomplicated manner with a text largely linked directly to specific illustrations. This makes the assimilation of the information easier. The authors, Sotheby's jewellery experts, evaluate many millions of pounds worth annually and thus handle a complete cross-section of what is available on the market. They have specially selected the 836 colour illustrations to show what to look for and what to avoid. Whether interested in the history of fashion, deciding what to buy or simply to enjoy a visual feast of beautiful objects, this book should serve as a useful reference.